Preservation of the integrity of the judicial process means that jurors should only weigh that evidence which is considered relevant to the case. Extraneous information could be unfairly prejudicial. It’s the judge’s job to act as referee to make sure this doesn’t happen. Usually, the question of what can and cannot be heard by jurors is decided long before the personal injury claim goes to court. 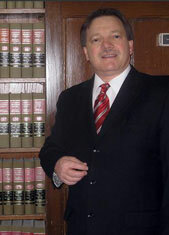 Numerous pretrial hearings will be held to hammer out any disputes with regard to what evidence is pertinent. In some cases, evidence that is deemed inappropriate for the jury still makes its way into the courtroom, either due to rogue questioning by an attorney or misunderstanding of a witness or some other oversight. In these situations, the court might determine there are grounds for a mistrial or a retrial. It is not enough in medical malpractice lawsuits for the plaintiff to simply provide evidence of wrong-doing or negligence. Before you even get to court, your law firm must clear a number of critical hurdles. There are statutes of limitations on the lawsuit, but there are also numerous deadlines for various filings that must be met before a claim can move forward. Patients first have to file a complaint with the Indiana Department of Insurance, which will appoint a medical review panel of three physicians to evaluate the case. If there is one defendant, two of the three doctors must be from the defendant’s specialty. If there are multiple defendants, the department must try to make sure the panel displays the most appropriate representation possible.